Exceptional value and excellent addition to any home wall. 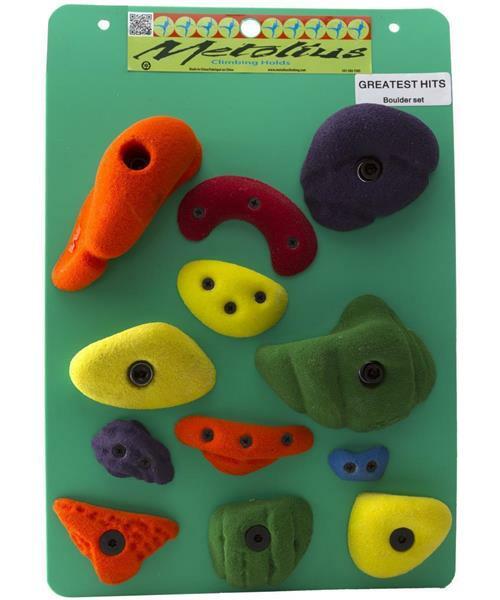 Each set contains a variety of shapes and sizes perfect for setting one boulder problem. Each set contains 12 holds including: 1 start/finish jug, 3 Modular bolt-on holds, 3 Micro bolt-on holds, 3 Screw-On Hand Holds, and 2 Screw-On Footholds.